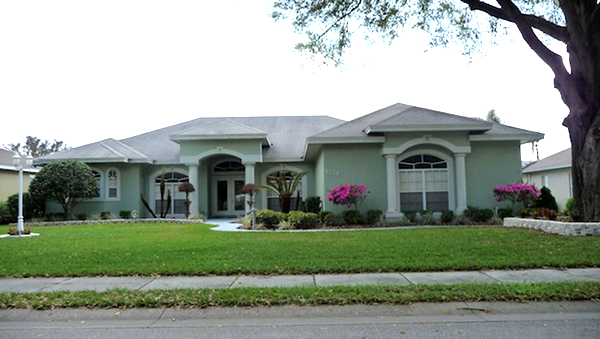 Lakeland Fl has a wide variety of homes for sale with different price ranges and styles. Moving into your new home is absolutely hassle-free if you purchase a regular Lakeland Florida home for sale that is not distressed, since you negotiate directly with the owner. No need to worry about a third party or lender. Each transaction with a traditional Lakeland, FL home sale is less complicated and saves the buyer a lot of time. Short sales are also a good option for Lakeland, Fl homebuyers looking to save some money. Purchasing a Lakeland, Florida short sale also gives you instant equity, although it takes lots of time and patience on the part of the buyer for a short sale to be processed. Most short sale homes are still occupied by the owners who could barely afford the repair and maintenance of their homes. Bank-owned Lakeland FL Homes for sale are also good bargains. Banks have no option but to dispose all their inventory so they agree to sell it even for a very low price just to get their money back. But buyers must be very careful and cautious in buying foreclosures. You may think you got away with a good bargain but end up shelling out more money for costly repairs, since most owners leave their foreclosed homes in a bad condition. Lakeland FL has homes for sale in different types of communities; from a retirement community to an active urban community, or even a community for families with growing children. There are also communities to suit different types of needs and tastes such as gated communities, golf communities, subdivisions, and even rural communities for those who prefer a more secluded environment. With almost 74 miles of land, Lakeland, FL is the biggest city in Polk County. The population reached 94,000 as of July 2009 and is still growing. Lakeland is conveniently situated in between Tampa and Orlando, FL and provides commuters easy access to the Interstate. Lakeland offers accessibility to airports, sporting venues and the famous white sand beaches of Florida. Lakeland, FL has 38 natural lakes. Residents could enjoy an afternoon of boating or fishing in popular lakes like Hollingsworth, Lake Mirror, Lake Morton and Lake Wire, which are found near Downtown Lakeland. Residents could have the best of both big city life and cozy small town feel here in Lakeland, FL. Searching for homes for sale in Lakeland, FL is easy with search categories such as price range, location, size, and type. You could also sign up for email alerts which will give you information of new homes as soon as they are listed on the market. You can even forward these email listings to family and friends to share and compare.